Keepers at Old MacDonald’s Farm are delighted to announce yet another new arrival. 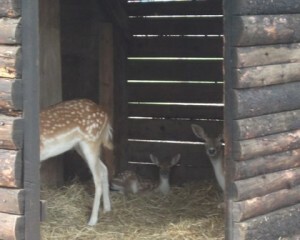 Our Fallow Deer have had the pleasure of welcoming a new Fawn or baby deer that is to their group. Our Fawn is yet to have a name and that is why we are giving our Facebook friends the chance to come up with some great ideas! In return the winner who picks the best name will win a family ticket! You can check out all our fun animal facts, including those about Fallow Deer on the Animal Fun Facts page! Get posting your ideas on Facebook now! Winner will be announced: Friday 24th June!